2,000 gone in Afghanistan: Did you notice the death of Sgt. Riley Stephens? Residents of Tolar, Texas, attend a candlelight vigil Wednesday at the old Tolar High School football field to honor hometown Army Special Forces soldier Sgt. 1st Class Riley G. Stephens. When No. 2,000 fell last weekend in Afghanistan, journalists were keeping count. But is the nation keeping up? Last Saturday, Sgt. 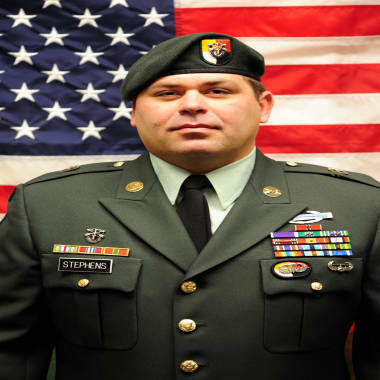 1st Class Riley G. Stephens, 39, was shot and killed by an Afghan National Army soldier at a highway checkpoint in Wardak Province. The Airborne Special Forces member had three children and a wife. 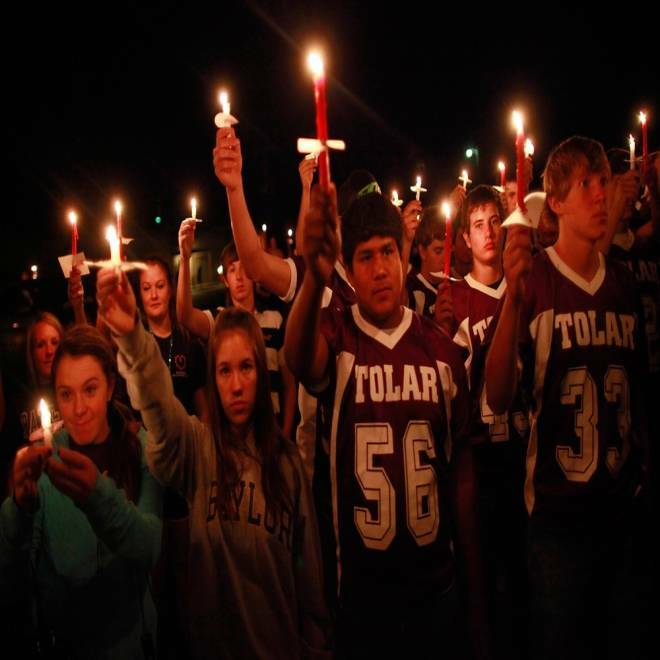 Residents in his tiny hometown, Tolar, Texas, gathered Wednesday night on the local high school football field, burning candles in his honor. According to The Associated Press, Stephens was the 2,000th U.S. service member killed in Afghanistan, the type of historic landmark that gets the media’s notice. But if the simple cold arithmetic of his passing didn’t get your attention, you’ve got company. Although 68,000 U.S. troops remain in that war zone, the majority of Americans have mentally moved along, military experts say, to the point where such tragic notches rarely rate a mention at the supper table and barely raise more than a momentary blip in the Twitter-sphere. “I don’t think it ranked very high” in the nation’s consciousness, said Michael O'Hanlon, senior fellow with the 21st Century Defense Initiative and director of research for the Foreign Policy program at the Brookings Institution. “Thoughtful people – even if they have made up their minds about the war – they just want to commemorate it the same way we commemorate Veterans Day or Memorial Day. It merits a little bit of response in that regard. But beyond that, it elicits almost no new policy debate whatsoever." “A 2,000th fatality does not affect people's (personal) calculus on mission feasibility or the desirability of one policy option over another. It’s just going to be a sad milestone,” O’Hanlon said. Perhaps that’s partly because America’s lengthiest war has not generated the fatal pace of past military conflicts. While 181 U.S. service members have been killed, on average, per year in Afghanistan, the annual death rates for American troops in three previous wars were higher to exceedingly higher – Iraq: 498 per year, Vietnam: 4,850 per year, and Korea: 12,300 per year. The U.S. military plans to finish a withdrawal of most U.S. troops from Afghanistan by the end of 2014. “Of course, 2,000 fatalities these days really means 20,000 wounded because we’re keeping so many wounded people alive,” said O’Hanlon, who describes himself as “a supporter of the mission” in Afghanistan. “So, I think the numbers are pretty high in many ways." Beyond that, giving special commemoration to the 2,000th service member to die in Afghanistan seems somewhat disrespectful to the 1,999th U.S. troop to die there -- someone whose life story and profound sacrifice may get far less acclaim. Meanwhile, the first casualties of the conflict get shoved deeper into the nation's collective memory, said Paul Rieckhoff, chief executive officer and founder of Iraq and Afghanistan Veterans of America, a nonprofit group with more than 200,000 members. "The larger concern we have is with that general disconnect," Rieckhoff said. "Obviously somebody was just killed in action there and that person should be remembered and celebrated. But we’ve also got to remember there are widows who have been dealing with this since 2001. They still need support and their families need care and their kids need to figure out how they’re going to school. The price those families pay impacts generations." "Most Americans aren't constantly thinking about Afghanistan. It’s not always in the papers. It’s at the end of very few news broadcasts. Maybe there is some fatigue in the general population," Rieckhoff said. "But I also think there’s some paralysis: They don’t know what to do about it. So, what we simply try to tell them is just make sure you remember the families."